A woman’s wedding day is one of the most important days of her life. There are many reasons why I feel you should treat yourself to a Professional Hair and Make-up Artist on your special day. Perhaps the most important reason is to allow yourself to put your feet up, relax, be pampered and enjoy your wedding morning with your bridal party safe in the knowledge that you are going to look and feel your absolute best, and that your hair and make-up will last the day. Included in my Bridal Hair and Make-up service is a consultation session during which we will have a chat about the look you would like to achieve on the day. I will give you advice on which styles would suit you best analysing your hair, skin tone, eye colour, shape, natural style, personality and of course match the whole look perfectly with ‘the dress’. I include in the consultation session advice on your hair and skin type and how to get the best hair and skin possible for your wedding day. Once we have taken all of this into consideration we can move into the trial, this is where we will create a look that is personal and unique to you and will give you the confidence to shine on your wedding day. 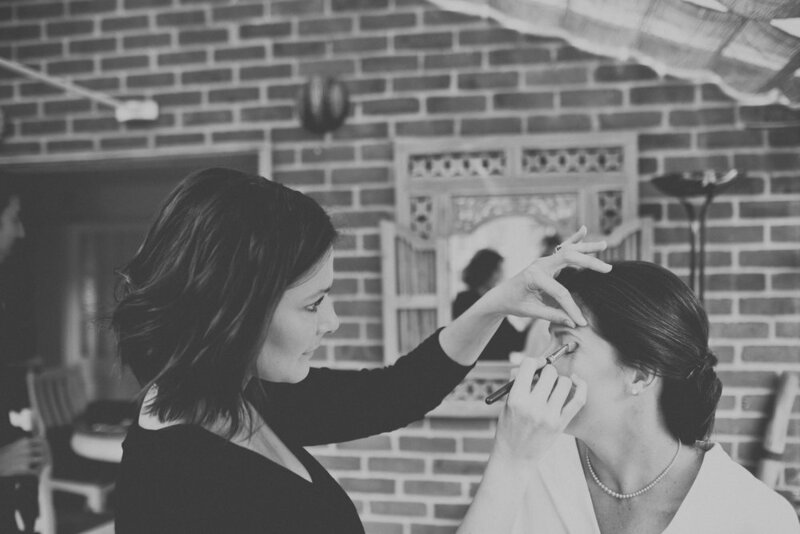 As wedding mornings can be very busy I find that it is best to have a separate Make-up Artist and a Hair Stylist so that there is enough time for everyone to be pampered accordingly. For this reason I work closely with a selection of excellent Hair Stylist's that I would recommend highly, I am also happy to work alongside a Hair Stylist of your choosing if that is what you would prefer.